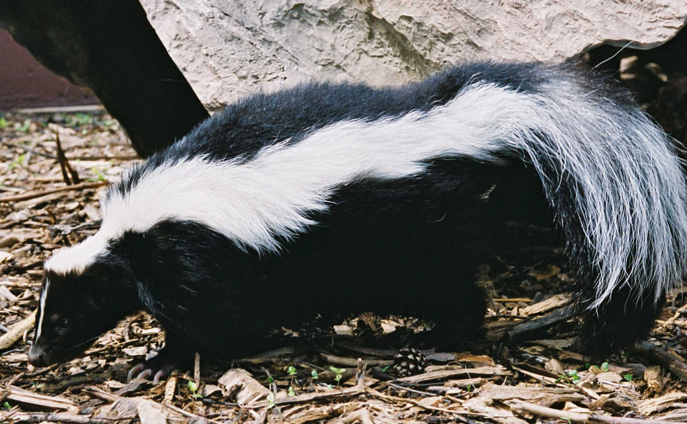 A skunk can spray their offensive odour up to 4.5 m (15 ft) which can be smelled 1.6 km (1 mile) away. Most animals learn to recognize a skunk's striped pattern and avoid it, although occasionally coyotes, foxes and bobcats prey on them. Skunks do not hibernate, although in northern regions, they may spend several weeks being inactive in their underground dens.